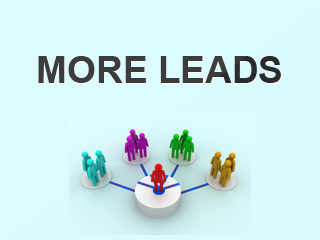 Are you struggling to get leads from search engines? Want to improve your small business seo? Google considers over 200 factors before ranking any page in the search results. Managing your small business seo along with your other small business duties can be difficult when you have limited resources. Q: Can you please share your best tip for small businesses that are just starting out with SEO? I’m really confident that following answers will help you to save lots of time and money. Don’t forget to add your favourite answer in the comments below. 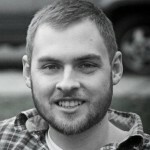 Kane is the Founder of Hood Web Management, a Seattle SEO and internet marketing company. He’s also the author of Seattle Homestead, an urban homesteading blog. You can follow @KaneJamison on Twitter. Best tip for small businesses after integrating some basic keywords into their page content and title tags is to acquire links that their competitor’s have by using tools like Open Site Explorer. Then go back and fix on-site issues. Too many people obsess over minute on-page SEO details when they really need to prioritize building up the authority of their website to a competitive level. Easiest things to do is get an Excel file with these links for each competitor (across their entire root domain) and go through the list one by one, figuring out a way to get a link from the site for themselves. If the site looks spammy, skip it. If the site is relevant to your business, place extra priority on it. Giuseppe is an Italian SEO consultant working either for big and little brands to help them improving their on line visibility. He (not so) regularly writes on his own blog about technical SEO and link building, and sometimes as a guest author on well know websites (SEOmoz.org and SearchEngineJournal.com among them). You can find him on Twitter (mostly) and Google+. My best tip for small business who want to start doing SEO is to focus on very specific keywords with a low competition and a good conversion rate. When just starting, it’s almost impossible to rank for broad keywords, so it’s far better understanding which are the long tail keywords to optimize for. I suggest running an Adwords campaign and keep note of impressions, CTR and conversion rates, then group variations of the same keywords in semantic sets and create specific optimized landing pages (or add optimized content to the existing landing pages) for each set. These pages will be more likely to rank for a good number of highly converting and lowly competitive keywords. Build your business on long tail keywords and it will be more sustainable to lose rankings for some of them. If you focus only on big traffic keywords you’ll struggle too much to achieve them, you won’t have results in the short period and if you’ll rank only for them you’ll be in danger if your rankings drop. If you are a small business that is just getting started with SEO here is my advice. Step 1: Pick keywords that you actually have a chance to rank for. Start with a few simple long tail keywords. Once you have proven you can rank for those, you can branch out into more difficult keywords. Step 2: Do some basic On Page Optimization. Do not make the mistake of obsessing about “optimizing” your site to perfection. You will end up doing more harm than good. Make sure you have some really well written Title Tags and that Google is having no issues indexing your site. Think of your Title Tag as the headline of a newspaper article. Use it to entice someone to click on your site instead of simply stuffing it with as many keywords as you possible can. Step 3: Forget about SEO, at least for a while! Seriously, this is the best thing you can do. From time to time revisit and refine your keyword targets as well as your On Page Optimization but the best thing you can do is move right along to step 4. Step 4: Start producing content! Content marketing is the new SEO. Even a small business can produce compelling content. If you have better content than your competitors you will win long term, especially if you learn how to promote your content through social media. To get started create a list of some of the “frustrations” or “problems” your potential customer may have. Set out to create content that speaks to those frustrations and attempts to solve them for your customer. By producing helpful relevant content you will attract brand awareness, social shares and yes LINKS. If you do this on a consistent basis your SEO will take care of itself and you will leave your competition wondering what you know that they don’t. 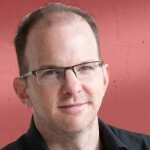 Doug is the lead Social Media Strategist at a Portent, Inc., full-service internet marketing agency. When he’s not writing short-sentences, he’s vehemently complaining about why Ghostbusters 3 isn’t a thing yet. Follow Doug on Google+ and Twitter. Knowing where to start for small businesses is a complicated question that my colleagues and I covered in a local SEO blog series. Since I focus on social media, I tend to think about reputation management. Specifically, I recommend small businesses claim a social media profile in every social network possible. When you claim a social network, you have control over that search listing and prevent anyone from misrepresenting your brand. If you optimize each social network for your brand, these social profiles will create more opportunities for referral traffic because they occupy results on a SERP. If you engage users with your social networks, it creates an additional contact list for you to announce promotions and news about your business. Jon is an Entrepreneur, Traveler, Head of Distilled NYC, Photographer, Climber, Skier & Kingdom follower. Jon get things done. I’d say that my best tip for small businesses getting started with SEO is to do keyword research before you build your site and plan your information architecture around that. I see too many sites trying to retrofit SEO/keyword targeting, and it’s always messy. 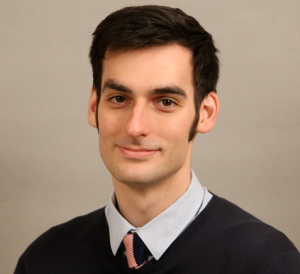 Steven is a Senior Marketing Associate / Community Manager @slingshotseo & Communications Director @IRVHalloween. My top three tips would be to first get a good content management system that will allow you to easily customize your website and publish content. The second thing you should do is write excellent and unique website copy. The third is to leverage off-line relationships for co-marketing, guest blog posts, etc. 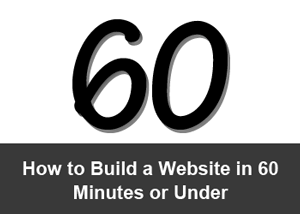 This will help you start to build at least some links to your site. Modesto is a Natural Search Strategist at iCrossing UK and has extensive experience of small, medium as well as enterprise level SEO campaigns. Modesto regularly blogs on digital marketing blog Connect and you can connect with him on Twitter. Google seems to make it harder and harder for small businesses trying to get established by focusing exclusively in SEO. My advice to small business owners is to look into all other marketing channels for opportunities and find the right balance. SEO is becoming increasingly expensive and there is no guarantee that today’s good organic visibility will keep growing in the longer term. With the updates Google rolled out in the last couple of years (Panda, Penguin, Page Layout and EMD) many small businesses, which relied too heavily on SEO, saw their revenues suffering. Some even went out of business, whilst others still struggle to recover and reposition themselves into an increasingly completive landscape. Nevertheless, it is not all doom and gloom for small businesses because they have the unique advantage of being agile and able to quickly get things done. For example, I’ve seen many small companies taking SEO to the next level with correctly implementing rich snippets and authorship, having a dynamic content marketing strategy in place, whilst being very successful in other areas with some innovative social media campaigns, creative email marketing, cost-effective paid search activities and frequent CRO. 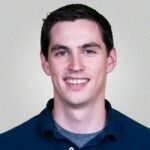 Ryan is the founder of Vitopian, an SEO company in Rancho Cordova, California. Before Vitopian, Ryan worked for Verizon Wireless on the Knowledge Management Solutions team as a database administrator and application developer. You can join Ryan’s circle on G+ or Vitopian on twitter. 1. Offer solid website architecture. Does your site appear correctly in the 5 major browsers? Does your site appear correctly in all devices (smartphones, ipads, etc)? Are search engines able to cleanly crawl your site? Do you have a responsive design mobile site? The answers to these questions often separate good sites from great sites. 2. Invest in your website design. Quality web designers have a way of cleanly presenting your site in a user-friendly manner. Is all your text readable from both a color, size and font perspective? Is your main content crowded? Do you have a clear Call To Action? Is your site’s purpose clearly evident to new visitors? Do visitors comment on the design of your site? 3. Invest in your content. The days of 500 word “internet” articles have come and gone. Word count and keyword density are no longer considerations. If you create a new web page, choose a clear keyword focus. Next, focus on ensuring your web page is the best one on the internet for the given topic. 4. Earn links, don’t build them. There is a clear difference. Earned links cannot be easily copied by competitors. The type of pages which earn links typically offer direct traffic, tweets, likes, +1s and other forms of social promotion. 5. Embrace social media. If you have not recognized the value of social media yet, it is time to dive in. Social media signals are arguably the strongest indicator of a web page’s performance in search results. One of the best tips for small businesses just starting out with SEO, is to use PPC as a testing tool to gauge the level of interest for the keywords you want to target. Keyword research is still one of the most critical parts of a successful SEO strategy. It’s not uncommon for small businesses to choose a bunch of keywords for their business, spend months acquiring organic traffic for them, only to find out they don’t convert or they don’t have the budget to compete long term for them (or worse still, both of these). PPC can give you some immediate feedback on the keywords you plan to target. They can help small businesses estimate the amount of traffic they can acquire for them and once on the site, if those users will convert. I would recommending building really small adgroups for each keyword you want to target. That adgroup should contain all variations of the keyword (long & short tail). I would then run this for up to 3 months. Going through this process will help you put a valuation against each keyword and allocate both resources and budget accordingly. It will save you money in the long run. 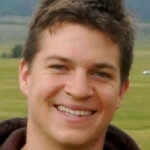 Matthew is a SEO Strategist with Ethical SEO Consulting, a start-up search marketing firm out of Denver, Colorado. 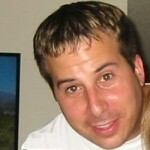 He specializes in developing local inbound marketing strategies for small to mid-sized businesses. 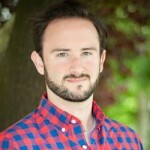 You can connect with Matt on Twitter, G+, and Linkedin, or drop him a line on his blog. Understand that good SEO will not produce a return on investment over-night. I have seen so many small businesses owners who approach organic search marketing as their silver bullet solution for more customers and dominance of their local market quickly. This is the absolute wrong mindset and will lead to some very bad decisions from a SEO standpoint, including things like: relying on one, or many, exact keyword match domain websites, rather than focusing on establishing a positive and unique online brand; outsourcing link building to a guy in his basement with SENuke and Xrummer installed on his laptop; over-investing in SEO initially and depending on quick results, which, when they don’t come, leave the business high and dry. If you are just starting out with SEO you need to fully expect an organic SEO campaign to take 6 to 9 to 12 months to produce the results you want to see. If you need to make the phone ring today, invest in Adwords. Organic search marketing, like carving out a market share in any offline setting, takes time, creativity, and a lot of hard work. Avoid joining the ranks of those busniesses who must constantly battle Google’s algo (spending TONS of money along the way) because they rely on manipulative, silver bullet SEO. By having proper expectations for your SEO strategy, you can avoid making the mistakes that have left so many small busniesses in a very bad position. 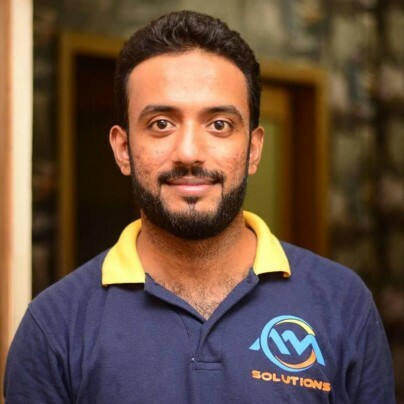 Cyrus formally worked as the Lead SEO at SEOmoz before starting his own online marketing company. He’s active on Twitter, where he thinks he’s wittier than he usually is. The best advice I can give to any small business starting out in SEO is to go for the big links and not settle for the easy ones. The biggest mistake most beginner SEOs make is spending months and 100s of hours persuing low quality links, such as spammy article marketing. That same time and effort could be spent on quality content marketing. For example, an infographic costs $500 to produce and $100 to promote on StumbleUpon. You’re not going to succeed this way every time, but the wins you earn are well worth it. Jasper is the Head of Communications and Inbound Marketing at Simply Business insurance. 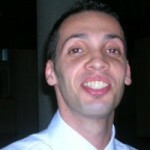 He initiates and coordinates SEO, social and (online) public relations activities together with the inbound team. I see many start-ups making the mistake on focussing on keywords in overcrowded markets. If you are an insurance broker operating on the High Street and you decide to start a website offering car insurance, it’s impossible to rank for generic keywords such as ‘car insurance’. Try to focus on a niche. In this instance, the insurance broker should have focused on local search or on a specific type of car insurance they can offer. Author authority and social signals in search are more important than ever before. Why not use your most important asset (yourself) to build your personal profile online? Especially if you are a sole trader it makes sense to merge your personality and your business into one profile. Your customers will probably see you as the business anyway so it’s important to relay that throughout the online engagement. Personality is an important factor in social media and small businesses/sole traders can utilise their personality to the business’ advantage. Jayson is the Founder & CEO of AudienceBloom, a Seattle-based SEO & Social Media Marketing Agency, Writer for Search Engine Journal, SEOMoz, and more. SEO is an investment in the future of your business, so hire an SEO consultant from the beginning to help you plan accordingly. Every aspect of your business affects SEO; not just what’s on your website. Offline advertising, such as TV and radio ads, even affect SEO, albeit indirectly. For example, if your TV ad is especially funny, your business might get mentions in the press, which would result in inbound links to your website, which are the primary “currency” of organic search rankings. Similarly, if your radio ad tells a short story that leaves a cliffhanger which listeners must visit your website to learn more about, you’ll see increased social activity and inbound links to your website as the community buzzes about your ad. Steve is the founder of Web Gnomes, an Internet marketing firm that offers industry-leading SEO audits. 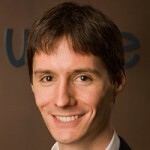 Steve received his Ph.D. from Georgia Tech, and he has worked for numerous Internet-related companies, including Google. You can connect with Steve on Twitter and Google+. My best SEO tip for small businesses is simple: don’t take shortcuts! Over the past few years, search engines have released numerous updates (e.g., Panda, Penguin, etc.) that have been extremely painful for a lot of small businesses. But the source of that pain wasn’t the updates; it was the shortcuts those companies took, which made them vulnerable to the updates. If you want long-term, sustainable success in the search results, you should avoid low-quality, short-sighted techniques (e.g., article marketing, irrelevant directory submissions, comment spamming, etc.) and focus on high-quality activities that grow and strengthen your company’s brand. As counterintuitive as it seems, the best way to do SEO is to pretend SEO doesn’t exist. Focus on your target audience, and create compelling content that they’ll want to consume and share with others. Once you’ve made your audience happy, doing the same for the search engines will be a walk in the park. Will Critchlow co-founded Distilled in 2005 with Duncan Morris. Distilled provides natural SEO and paid search services from offices in London, New York and Seattle. Distilled hosts regular industry conferences including SearchLove and LinkLove. 3. Make sure someone senior is building a profile within the industry (depending on your size and the nature of the industry, many people might be doing this). It’s by far the most powerful link and fame building strategy I know for small businesses. You will say you don’t have the time, but it should be one of your top priorities. I know it’s not easy, but it is possible; I’ve been there. I received Larry’s tip just after publishing the post and this is the only way I could think of including this tip in this post. Larry is the Founder & CTO of WordStream, a provider of PPC management software, including the AdWords Grader and the 20 Minute PPC Work Week. This may sound a bit counter-intuitive, but you’re just getting started with SEO, I think you’re better off creating content that features other people or products, rather than blogging about your own stuff or trying to get people to link to you. For example, when I was starting out the WordStream blog back in 2009, we started out by writing mostly about other people, or reviewing other products, or doing group interviews, etc. We wanted to try to build up relationships with influential bloggers and industry experts, rather than annoying them with requests to review our stuff. Over time, you’ll build up a following, for example – people will start to subscribe to your blog, or follow you on twitter, and you’ll have an audience to share your content with. Over time, the links and traffic will come. Today, after just over 3 years of blogging, my WordSteam blog now gets thousands of unique visitors every month! What do you think? Did you find the answers helpful to improve your small business se0? Feel free to share your experiences or ask any question regarding small business seo in the comments below. Hello, Certainly great way of enhancing the knowledge by reading such posts. Now, SEO trends has been changed with the passage of time and certainly its a time taking and continuously focused processes to get to your achievements. I see lots of people trying to do it by spending lots of time and acquiring over night success but at the end they have to face punishment from google. For me, it should be done in Natural way that’s how you will learn lots of new techniques as well. Thank you Ayaz for sharing your thoughts. Rana Sahb, the post is quite informative but quite lengthy, thus making it boring. Once again thank you for your thoughts, I really appreciate it. Something amazing for my small business regarding SEO, I have never seen a bunch of creamy tips in one place specially by all typically experts in practical life. I think if we are going to implement all the tips/techniques share in this post we are not far from getting outstanding results which will definitely gonna convert my visitors in more leads as well with the the selection of right choice of my keywords . Specially i would appreciate @Doug Antkowiak and @Ryan Kent who spent good time on writing their tips to guide us in best a way. Once again thank you Rana for search and sharing great tips for us from the market experts…. Thank you for your comment Ali. I’m glad you found the post useful. Many great points here. I think what small businesses need to do is get out of the old mentality of sell-sell-sell and start giving-giving-giving. That’s what content creation is all about, teaching and sharing and giving. When you give of yourself on the ‘net, you will eventually get rewarded. I believe that businesses often focus too much on beating the competition within their industry. They focus all their resources of equaling them and instead they should focus on the customer. I think John’s note on the difficulty of retrofitting SEO is pertinent. It’s always a challenge and often an expensive challenge. Investing in the right areas is important and bad early decisions can come back to bite you down the road. It’s important to get the right advice at the outset to save panic and facepalms later on. Very good collection of useful SEO tips for businesses. You’ll that you SEO strategies are effective when it brings leads and sales. Great piece of advice from the experts. SEO for small businesses can be a tricky thing. Content to me holds the top place while doing SEO. Thanks for this great tips, Rana. One of the best SEO tips for new or small businesses can be to forget about SEO and certainly not to obsess about it. There is an unimaginable amount of information out there and not all good so don’t spend hours and hours trying to understand what works or does not work and instead, focus on developing good content and getting the word out. If you have a site, and start to blog and share your knowledge, it would be nice to think that the links will just come tumbling in but often, this is not the case and is certainly not going to happen quickly. So, to complement the good work you are doing from a content perspective, you have to get the word out there and one of the best ways to do this can be to focus on participating in active user communities where you can generate some solid leads and referal traffic. Likewise, if you have very solid answers to customers questions on your blog, then participating in leading forums and the like and proving a light version of your answer along with a link to your authoritative answer on your blog can help generate leads and highly qualified referral traffic. After a while, whilst your own content may not be ranking so well, the content of these other sites may rank and then funnel people to your content ensuring you get eyes on your blog. This increased exposure can then lead to a higher likelihood that folks will see your stuff and that increased visibility can help to generate links and shares as more people find your content. This also helps establish you as an authority and a good guy which never hurts when it comes to building relationships and generating leads. We speak to a lot of small businesses at BowlerHat.co.uk with big SEO dreams but often, the budget and commitment to the cause does not match the short term (or often immediate) goals so we often advise on other, simpler inbound strategies to prove the concept and get buy in and often, for smaller companies, this approach alone can generate more than enough business and is something they can do themselves. So, the best way to SEO your small business site can be to get the basics right but then forget about external SEO and focus on just building exposure in larger community around your business. Stand on the shoulder of giants and soon you will be a giant! I get this question from people a lot, usually in the form of “What is more important for my company, on-page or link building?” I tell them both can help them with rankings, but if they want conversions from traffic, they need a solid design and site architecture. Too many think there are a few things they can do to get instant boosts–like on-page or link-building is a steroid for them, when it’s really not. So many want to do just on-site or just link-building, when I think you really have to do both. I usually suggest four things: basic optimization with keywords and title tags, a design geared towards conversions, fresh content, and competitive link building to help sustain the on-site stuff and build authority. Usually when I give this advice, they don’t like what they here. They think SEO can be one or two things that give you fast results–a gimmick that brings big boosts to business. Makes me feel like too many small business owners don’t quite understand what SEO does yet. I also get the question as to whether they should invest more in SEO or social media, which is another topic entirely, in my opinion. Great stuff. It is good to see multiple ideas from different professionals. There seems to be so much stuff out there on seo that it makes it tough for small businesses as we get suckered in to schemes or easy ways to get rank. Thanks for getting so many experts to give their top tips all in one place. I especially liked the idea of focusing on your target audience, solving their problems by creating compelling content and seeing SEO as a long term project. Then optimising your pages and link building. Not all people would share what they know on SEO and online marketing strategies. Thanks for having this one and I hope you’ll keep it going! I specifically took note of the fact that this is one of the best roundups I’ve ever encountered on SEO strategies and how the experts actually make it work to their complete advantage. Being a small business owner myself, I tend to over-optimize and misuse keywords and these can be detrimental. Many thanks for sharing and more power! Expert advise is always helpful. Thanks for sharing the great tips from experienced people in the field. Excellent line-up. This will definitely help me in my new business. Thank you for sharing! hI – SOLID article that shares things that can be implemented immediately. excellent resource.